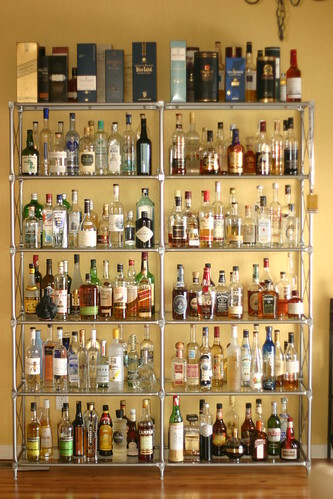 Here’s a peek at what’s in my liquor “cabinet” as of 2011-11-03. If you’re interested the racks are the Laxvik system from Ikea. Sadly, they are no longer sold. Man. Can I come over? Love your site. Have you tried out Scrappy’s Bitters or Bitter Truth Bitters? I’ve found them to be a bit better than Fee Brother’s. Josh – I haven’t picked any up yet. I’ve been wanting to. Any suggestions on your favorites? Cocktail Hacker » Blog Archive » Updated My Liquor Cabinet Page!